[IMG]e[/IMG] I have a 1980 1000 Sportster with 7,500 original miles. I have been through the bike and know this to be fact. It has undoubtedly always been garaged. 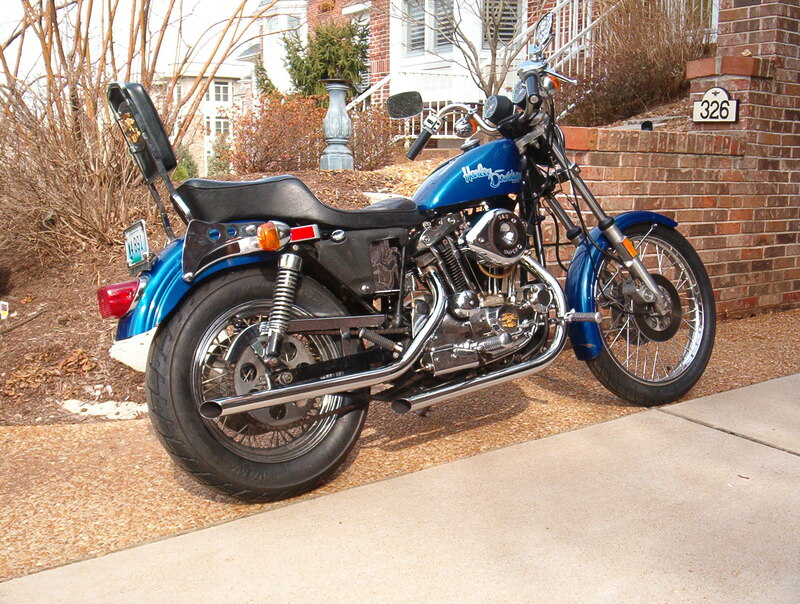 I set it up as a daily rider with rare XR750 pipes brand new Avons and got every perfect at the bike shop I worked at right before I changed jobs and began riding my Dyna again. 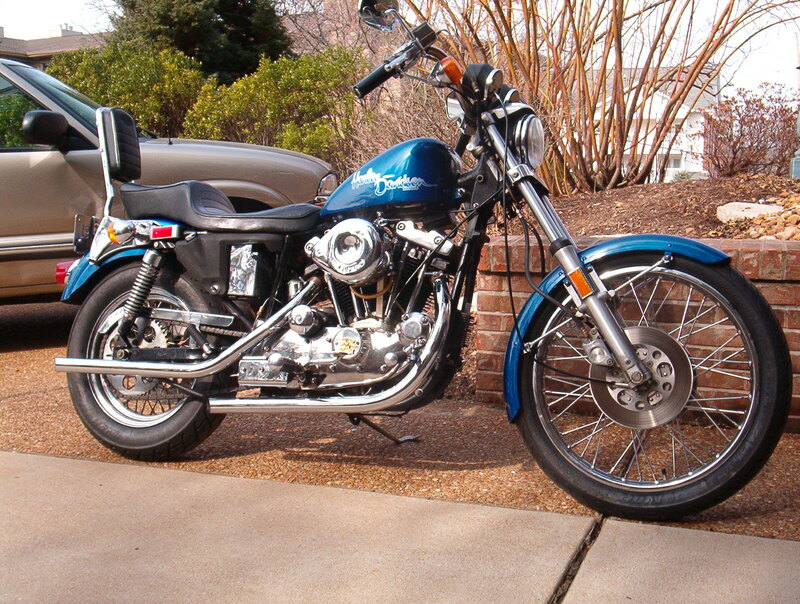 The only change I did to the bike is an oversized tank and a 21 inch in front wheel. 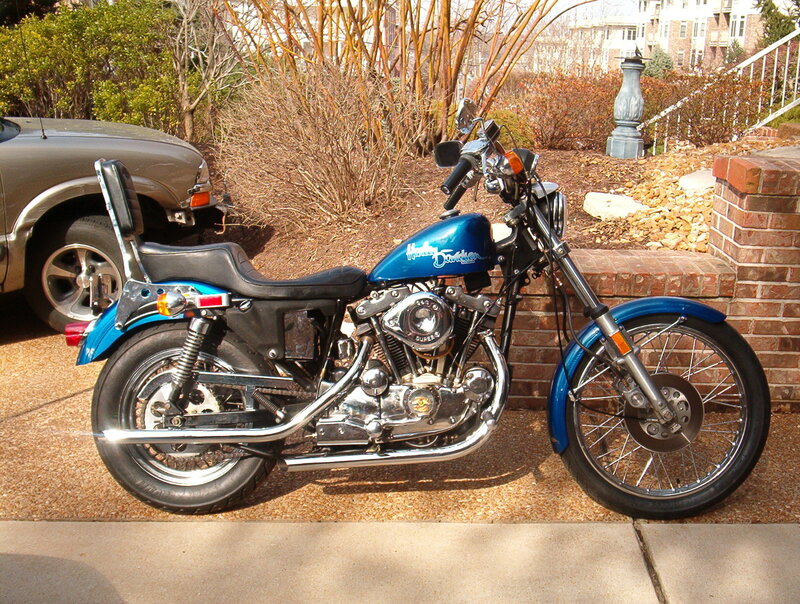 Also I have a tricked out 74 sportster stroked and camed. Aftermarket sheet metal and the works it just needs compression releases on the heads and it's a runner. I am in the STLouis area and will accept any reasonable offer and will take pictures upon request. sure do enjoy looking at picturs of others handy work. Mongo or some other admin type more smarted than my self will be more than happy to help ya with the how 2's of posting pictures,if ya not sure. i have a 1958 Chrysler Windsor 4door, (Christine) i'm willing tto do a trade for a bike. bought the car for the wife 5years ago so she could take to some shows, but she can't drive anymore due to her condition. I,m asking $3750 for the 80 and $2750 for the 74 but no trades juat strait cash. Bump.....6700 with all the Riding Gear....The riding gear is practically brand new because my old gear got stolen about a month ago, so I bought all new gear, and then right after that, I bought an 07 R1 in Yamaha Blue, so I would rather get new gear to match the new bike. So the gear I have I would rather sell with the bike....Make some offers. Thanks _______________________________________Website I designed for cash advances Toronto company.